The first record of a de Cawood family in the village of Cawood is in 1201 . Johannes de Cawood was a King’s Forester in the Ouse and Derwent Forest from Henry lll’s patent rolls in 1200. He had been instructed to walk the the bounds of the forest to mark it out. 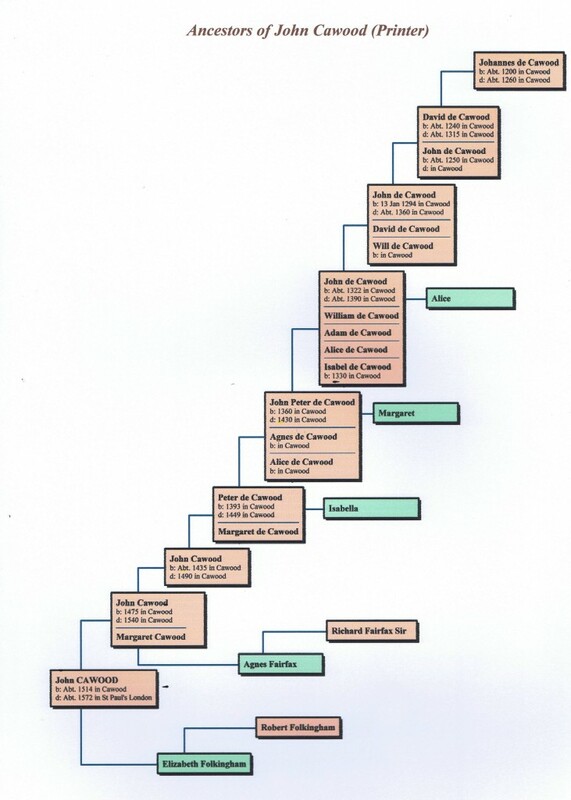 The most famous was John Cawood who was a printer for Elizabeth 1. He printed most of her documents including some bibles. He was royal printer to Mary, Edward and Elizabeth. 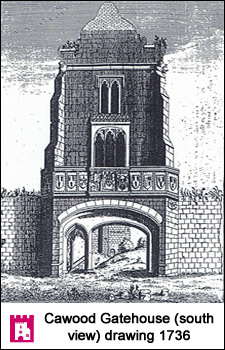 At this time St Paul’s was in disrepair and the chancel was used as a market place. A suggested family tree though not necessarily correct. It is said that John Cawood printer was from a Yorkshire family but didn’t specifically say Cawood. It’s possible he lived elsewhere in Yorkshire.